Nam Kee Restaurant has become a household in Amsterdam. 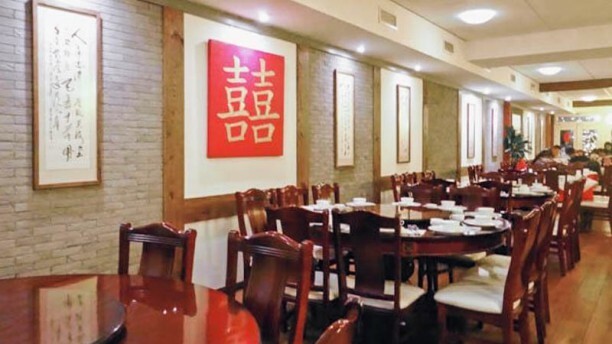 It is the most famous Chinese restaurant and is often visited! The branch on Heinekenplein is the third Nam Kee restaurant and also the largest. Neighborhood De Pijp is now a fine Chinese restaurant richer! Come and enjoy the Asian cuisine and try the famous oysters! I haven't been to Nam Kee in a while, because the last couple of times I went, the food was very bad (tasteless). I decided to give it another try. Yesterday I ordered the Choi Sam with shrimps and Tjap Tjoi with beef for € 36,-. It was terrible again. No taste at all, nothing Chinese about it. I hope Nam Kee does something about it. after eating in nam kee zeedijk a few times , we decided to check out nam kee Heinekenplein .much bigger than the other restaurants but with less charm,i think this place is aimed at large bus groups of chinese tourists , they all got a nice table with a table cloth and we got the shabby wooden table in the corner(it wasn,t even full) and they forgot about us most of the time while we watched feeling jealous at the chinese guests being treated alot better . However the food was as usuall by nam kee fantastic and really well priced , the group menu,s are very good .